Migraine, this word is heard quite often nowadays. Many individuals suffer from the migraine worldwide. The outbreak of migraine has become very common in the recent era. Approximately, 15 per cent population is affected by migraine globally. Migraine is a neurological disorder causing chronic headache clubbed with nausea and vomiting. It is not just a headache but also a combination of intense throbbing and unbearable pain especially in one particular area of the head. It also causes extreme level of sensitivity to smell, light as well as sound. Migraine attack usually lasts from around 2 to 72 hours. The underlying cause of migraine largely remains unknown. It might either be triggered due to the impact of environmental factors or genetic factors. Migraine occurs due to the swelling of blood vessels in the brain. Chemicals are released from the nerve fibers surrounding the blood vessels. Research theories also suggest that migraines can also be caused due to the abrupt triggering of central nervous system disorder and abnormalities in the brain chemicals and nerve pathways. Migraine progresses through four stages namely pro-drome, aura, headache and post-drome. The symptoms are characterized by the stage of migraine one is into. Aura is a stage that is optional in people. Every individual suffering from migraine does not necessarily go through this stage. The symptoms of aura usually begin gradually, gain momentum over several minutes and last for 20 to 60 minutes. This is the final stage after a migraine attack and can leave you feeling exhausted or drained out, sometimes even with a feeling of euphoria. Family history: Migraine has been reportedly found genetically associated. It is yet to discover which gene is actually responsible for the same but 70 to 80 per cent migraine cases are found in people whose family members have already been victimized by the problem of migraine. So, if migraine is detected in someone from the family, others are certainly at risk of inheriting it at a later point of time. Age: Half of the initial symptoms of migraine are observed in people before they turn 20. Most of the cases reported are in 25 to 55 years of age and the occurrence has been observed dropping significantly after menopause in women. Hormonal changes: Migraine is predominantly found in boys as compared to girls before 20 but the trend is almost reverse after 20. Medical science holds the hormonal changes responsible for creating the menace. Estrogen, the female hormone is greatly responsible for putting women at risk. Environmental factors: Environmental factors are greatly responsible for putting a person at risk of developing migraine. If someone is sensitive to sound, light and smell, extreme indulgence into these factors can push him towards a migraine attack. Although the symptoms of migraine are not at all mild, yet the symptoms of the attack stage of migraine can be termed as the most complicated of all. A migraine attack can be as severe as loss of consciousness. Migraine complications should be treated almost immediately otherwise it might bring fatal consequences to the individual. In Ayurveda, the two conditions known as Ardhaavabheda (unilateral pain) and Anantavaata (classical migraine) resemble the disorder. However, these disorders occur due three humors imbalance in the body, especially because of vitiated Vata humors.  If you are seeking natural ayurvedic herbal treatment of migraine, you can find the ayurvedic doctors at Pure Herbal Ayurved Clinic, Melbourne, Australia that can help you out for finding right herbs and effective ayurvedic treatment. All these herbs are available in veggie capsules. It is an effective stimulant for both the digestive as well as respiratory systems. It has a rejuvenating effect internally. Therefore, long pepper has an indispensable role to play in the treatment of migraine. Most of the times, migraine has been found closely associated with digestive as well as respiratory disorders. This herb helps drastically to soothe the migraine pain by healing any disorder of digestive as well as respiratory system. Peppermint is basically a combination of water mint and spearmint. This herb is a powerful remedy for migraine headaches. It has a calming and a soothing effect, which helps in reducing the intensity of migraine pain. Ginger is widely known for its beneficial properties. It can act as a potential remedy for treating migraine headaches. Nausea and vomiting, the two commonly found symptoms in people with migraine can be treated with ginger. It also helps in relieving a person of an upset stomach. Valerian, mostly Valerian roots are used to ease the problem of migraine by developing a sedative and a relaxing effect on the patient. Migraine headaches greatly reduce because of its calming effect. It also helps in fetching good amount of sleep. So, a person suffering from a migraine headache can also have a peaceful sleep after taking this herb. These herbs are effective, but you should seek a help from ayurvedic doctors to find the right choices for your body type. 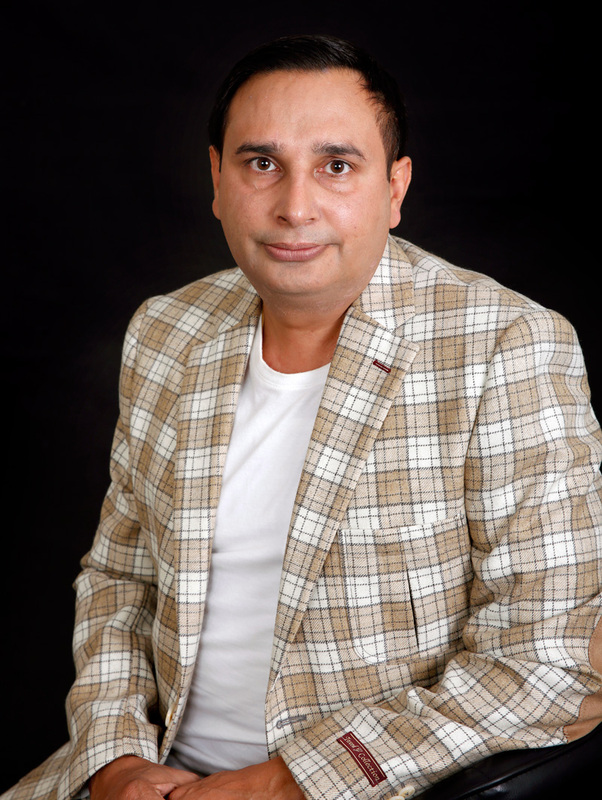 You can contact Dr. Gurnam Saini for ayurvedic treatment of migraine. Ayurvedic head massage is done with special ayurvedic oils useful in head disorders. The medicated oils have very soothing effects on the brain and helps in relaxing swollen blood vessels. 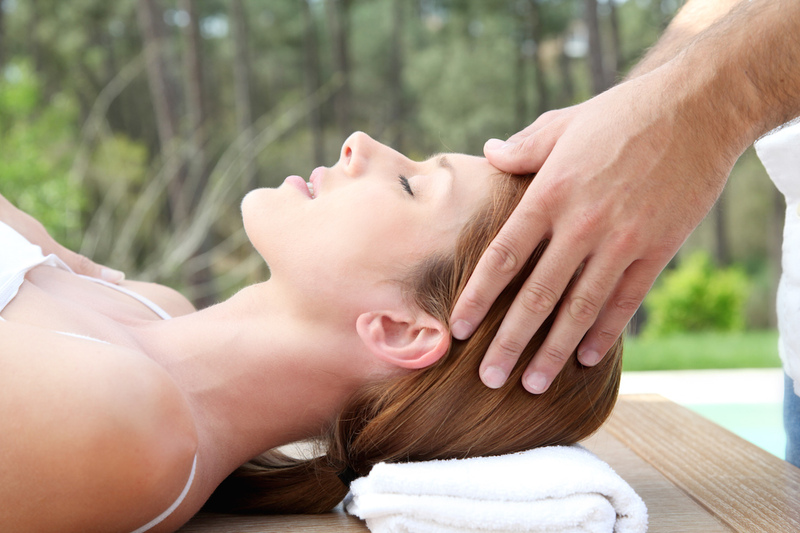 Gentle ayurvedic head massage gives immediate soothing and relaxing effects. Each patients suffering with migraine or headache should take ayurvedic head massage session every week. Shirodhara is drugless therapy for migraine, headache and other brain and mental disorders. It helps by its soothing effects on brain and influence a proper secretion of brain chemicals. 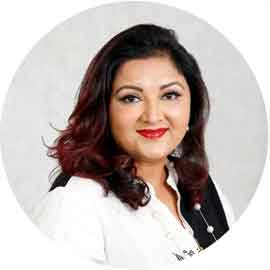 Migraine patient should register for shirodhara therapy with Pure Herbal Ayurved clinic Melbourne, Australia. Nasya is nasal instillation of medicated oils, which reduces frequency of migraine attacks. It directly works on brain and upper body parts, according to ayurvedic science. Yoga has always been successful in proving its miraculous effects in curing enormous health problems. Its impact does not go unnoticed when it comes to curing migraine. All those people who have become tired of trying several medications to treat migraine and yet not benefitted, they may try these amazing Yoga poses for potential relief from the intolerable pain and prevent themselves from having migraine headaches in future. The beneficial yoga poses for migraine are Forward Virasana, Prasarita Padottanasana, Uttanasana, Adho Mukha Svanasana, Paschimottanasana, Janusirsasana, Urdhva Mukha Svanasana, Matsyendrasana, Setu Bandha, Savasana (corpse pose). Lifestyle is greatly responsible for triggering migraine. Slight changes in lifestyle can bring on fruitful effects for every individual and never do let their smile fade into oblivion. The great tips for management and prevention from migraine are as follows. Be organized: Migraine is most likely to crop up when there is an imbalance in the daily schedule. So, it should be made sure that one is having his food at the right time and getting an adequate amount of sleep. Yoga should be included in the schedule and brought into practice on a regular basis. Take care of the diet: Nutritionist experts claim that migraine can trigger from specific foods. Thus, identify the list of foodstuffs that are doing the potential harm and avoid them so as to avoid migraine. Keep the body hydrated and nourished: Never let your body go dehydrated or skip meals. A bottle of water and light snacks to munch on should be kept handy with oneself to avoid migraine triggers. These are some helpful tips to get rid of migraine. However, we recommend opting for professional help instead of self-medication. 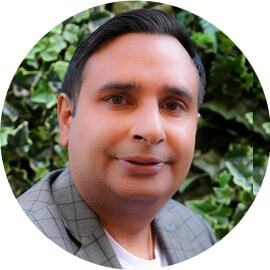 You can visit Pure Herbal Ayurved Clinic, Melbourne, Australia to seek help for ayurvedic treatments of migraine from an ayurvedic doctor Dr. Gurnam Saini.